In this blog post, we’ll look at the MariaDB 10.2 CHECK and DEFAULT clauses. 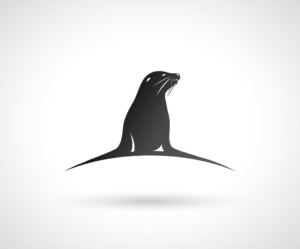 MariaDB 10.2 includes some long-awaited features. In this blog, we are going to discuss the improvements to some table definitions: the DEFAULT clause and the CHECK constraints. These clauses describe columns default values and rules for data validation. Note that MariaDB 10.2 is still in alpha stage. This article describes the current state of these features, which could change before MariaDB 10.2 becomes GA.
Additionally, MariaDB 10.2 allows you to set a DEFAULT value for the TEXT and BLOB columns. This was not possible in previous versions. While this might look like a small detail, it can be hard to add a column to an existing table that is used by production applications, if it cannot have a default value. The DEFAULT clause has some very reasonable limitations. For example, it cannot contain a subquery or a stored function. An apparently strange limitation is that we can mention another column in DEFAULT only if it comes first in the CREATE TABLE command. Note that DEFAULT can make use of non-deterministic functions even if the binary log uses the STATEMENT format. In this case, default non-deterministic values will be logged in the ROW format. A possible trick is checking that a column is different from its default value. This forces users to assign values explicitly. CHECK constraints cannot be added or altered. It is only possible to drop them. This is an important limitation for production servers. Another limitation is that CHECK metadata are not accessible via the INFORMATION_SCHEMA. The only way to find out if a table has CHECK clauses is parsing the output of SHOW CREATE TABLE. The exact behavior of CHECK constraints in a replication environment depends on the master binary log format. If it is STATEMENT, the slaves will apply CHECK constraints to events received from the master. If it is ROW, only the master will need to apply constraints, because failed statements will not be replicated. Thus, in all cases, we recommend having identical constraints on master and slaves, and only using deterministic constraints. While I didn’t run a professional benchmark, I can say that both DEFAULT and CHECK clauses don’t have a noticeable impact on a simple test where we insert one million rows (on my local machine). However, these clauses evaluate an SQL expression each time a row is inserted or updated. The overhead is at least equal to the SQL expression performance. If high-performing writes are important, you will probably not want to use complex data validation. In this example, we executed the specified expressions ten million times. always returns 0, but what we want to check is the execution time. We can see for example that evaluating MD5(‘hello world’) takes less than 0.000002 seconds. In some cases, we may want to retry the same expressions with different parameters (longer strings, higher numbers, etc.) to check if the execution times varies. Unfortunately, we don’t have a status variable which tells us how many times MariaDB evaluated CHECK clauses. If our workload performs many writes, that variable could help us to find out if CHECK constraints are slowing down inserts. Maybe the MariaDB team can take this as a suggestion for the future. A Japanese translation of this article is available here. A Chinese translation of this article is available here. Unfortunately, I understand and even agree with this argument. Instead of “most engineers are not database experts” I’d even say that most developers have very little understanding of databases because every developer that touches SQL needs to know about transactions—not just database experts. Discussions on Hacker News, Reddit, and the PostgreSQL-hackers mailing list. Original title and author: “On Uber’s Choice of Databases” by Markus Winand. 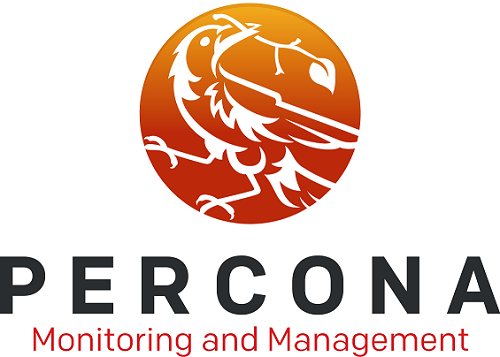 Percona announces the release of Percona Monitoring and Management 1.0.2 Beta on 28 July 2016. Like prior versions, PMM is distributed through Docker Hub and is free to download. Full instructions for download and installation of the server and client are available in the documentation. Set default metrics retention to 30 days. Eliminated port 9001. Now the container uses only one configurable port, 80 by default. Eliminated the need to specify ADDRESS variable when creating Docker container. Completely re-wrote pmm-admin with more functions. Added ability to stop all services using the new pmm-admin. Added support to name instances using the new pmm-admin. Various updates for MongoDB dashboards. The full release notes are available in the documentation. The documentation also includes details on installation and architecture. A demonstration of the tool has been set up at pmmdemo.percona.com. We have also implemented forums for the discussion of PMM. Note the new sparkline that shows the current load in context (so you know if the number is higher/normal/lower than normal), and the option to “Load next 10 queries” at the bottom of the listing. 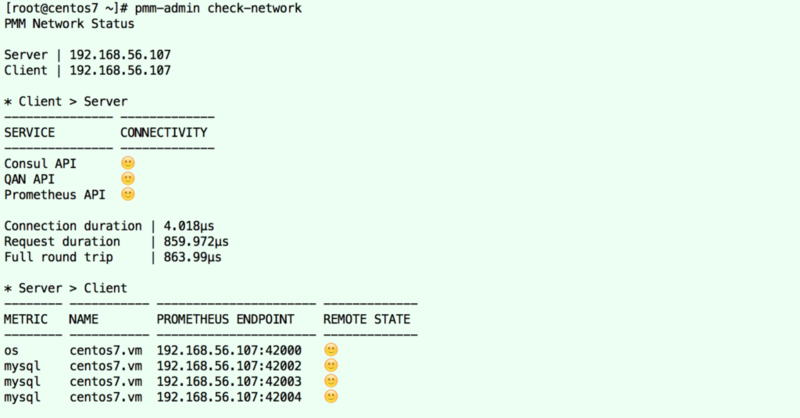 pmm-admin check-network output, which provides information on the status of the client’s network connection to the server. Join Brent Compton, Kyle Bader and Yves Trudeau on August 2, 2016 at 10 am PDT (UTC-7) for a MySQL and Ceph webinar. Many operators select OpenStack as their control plane of choice for providing both internal and external IT services. The OpenStack user survey repeatedly shows Ceph as the dominant backend for providing persistent storage volumes through OpenStack Cinder. When building applications and repatriating old workloads, developers are discovering the need to provide OpenStack infrastructure database services. 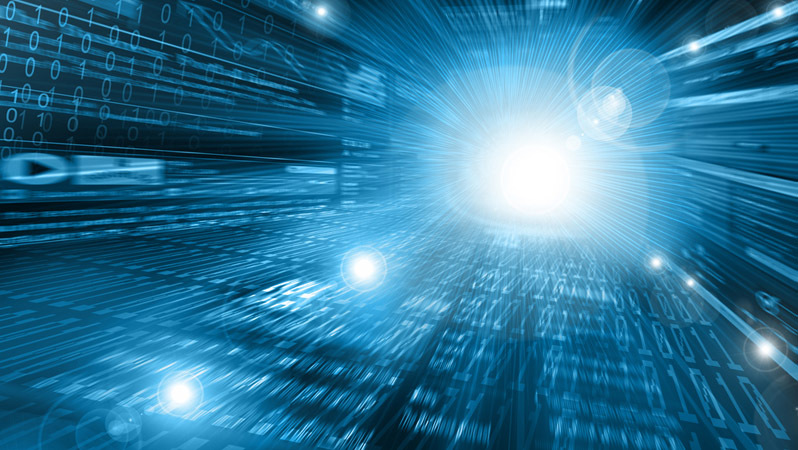 Given MySQL’s ubiquity, and it’s reliance on persistent storage, it is of utmost importance to understand how to achieve the performance demanded by today’s applications. Databases like MySQL can be incredibly IO intensive, and Ceph offers a great opportunity to go beyond the limitations presented by a single scale-up system. Since Ceph provides a mutable object store with atomic operations, could MySQL store InnoDB pages directly in Ceph? This talk reviews the general architecture of Ceph, and then discusses benchmark results from small to mid-size Ceph clusters. 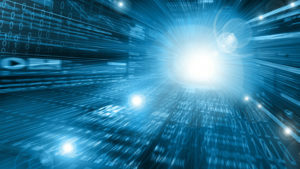 These benchmarks lead to the development of prescriptive guidance around tuning Ceph storage nodes (OSDs), the impact the amount of physical memory, and the presence of SSDs, high-speed networks or RAID controllers. Brent Compton is Director Storage Solution Architectures at Red Hat. He leads the team responsible for building Ceph and Gluster storage reference architectures with Red Hat Storage partners. Before Red Hat, Brent was responsible for emerging non-volatile memory software technologies at Fusion-io. Previous enterprise software leadership roles include VP Product Management at Micromuse (now IBM Tivoli Netcool) and Product Marketing Director within HP’s OpenView software division. Brent also served as Director Middleware Development Platforms at the LDS Church and as CIO at Joint Commission International. Brent has a tight-knit family, and can be found on skis or a mountain bike whenever possible. Kyle Bader, a Red Hat senior architect, provides expertise in the design and operation of petabyte-scale storage systems using Ceph. He joined Red Hat as part of the 2014 Inktank acquisition. As a senior systems engineer at DreamHost, he helped implement, operate, and design Ceph and OpenStack-based systems for DreamCompute and DreamObjects cloud products. Yves is a Principal Consultant at Percona, specializing in MySQL High-Availability and scaling solutions. Before joining Percona in 2009, he worked as a senior consultant for MySQL AB and Sun Microsystems, assisting customers across North America with NDB Cluster and Heartbeat/DRBD technologies. Yves holds a Ph.D. in Experimental Physics from Université de Sherbrooke. He lives in Québec, Canada with his wife and three daughters. Oracle will acquire NetSuite for about $9.3 billion, or $109 per share in an all-cash deal, the companies announced Thursday. Both Oracle and NetSuite’s cloud service offerings aimed at enterprise customers will continue to operate and “coexist in the marketplace forever,” according to a statement by Oracle CEO Mark Hurd. Percona Live Europe Amsterdam 2016 Tutorial Schedule is Up! This blog post lists the Percona Live Europe Amsterdam 2016 tutorial schedule. We are excited to announce that the tutorial schedule for the Percona Live Europe Amsterdam Open Source Database Conference 2016 is up! The Percona Live Europe Amsterdam Open Source Database Conference is the premier event for the diverse and active open source community, as well as businesses that develop and use open source software. The conferences have a technical focus with an emphasis on the core topics of MySQL, MongoDB, and other open source databases. Tackling subjects such as analytics, architecture and design, security, operations, scalability and performance, Percona Live provides in-depth discussions for your high-availability, IoT, cloud, big data and other changing business needs. Tackling subjects such as analytics, architecture and design, security, operations, scalability and performance, Percona Live Europe provides in-depth discussions for your high-availability, IoT, cloud, big data and other changing business needs. This conference is an opportunity to network with peers and technology professionals by bringing together accomplished DBA’s, system architects and developers from around the world to share their knowledge and experience – all to help you learn how to tackle your open source database challenges in a whole new way. These tutorials are a must for any data performance professional! 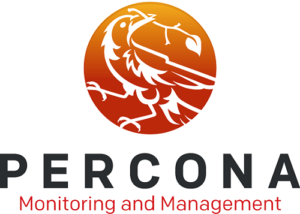 The Percona Live Europe Open Source Database Conference is October 3-5 at the Mövenpick Hotel Amsterdam City Centre. Click through to the tutorial link right now, look them over, and pick which sessions you want to attend. Discounted passes available below! Just a reminder to everyone out there: our Early Bird discount rate for the Percona Live Europe Amsterdam Open Source Database Conference is only available ‘til August 8, 2016, 11:30 pm PST! This rate gets you all the excellent and amazing opportunities that Percona Live offers, at a very reasonable price! Become a conference sponsor! We have sponsorship opportunities available for this annual MySQL, MongoDB and open source database event. Sponsors become a part of a dynamic and growing ecosystem and interact with hundreds of DBAs, sysadmins, developers, CTOs, CEOs, business managers, technology evangelists, solutions vendors, and entrepreneurs who attend the event.